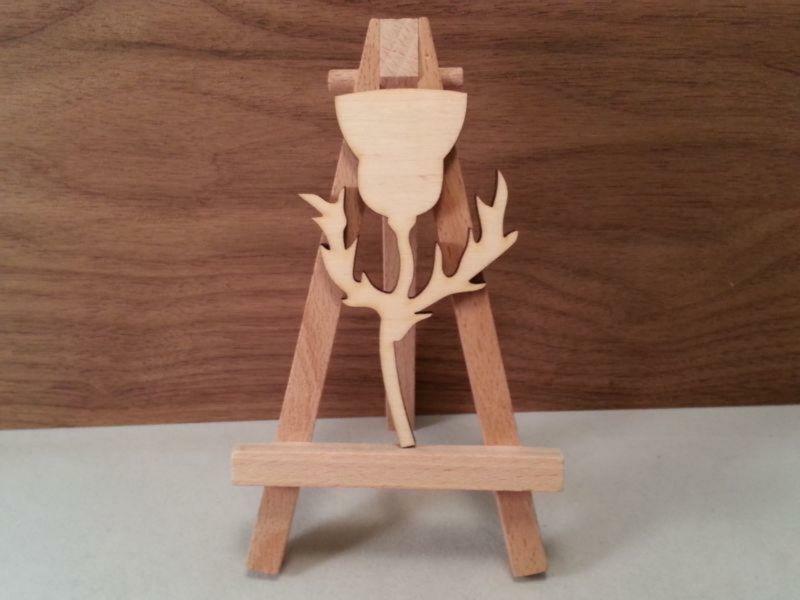 Wooden Scottish thistle craft blank - 4mm thick birch plywood. We can make these to your own requirements please get in contact to see if we can help with your project. 4mm thick birch plywood craft tag. 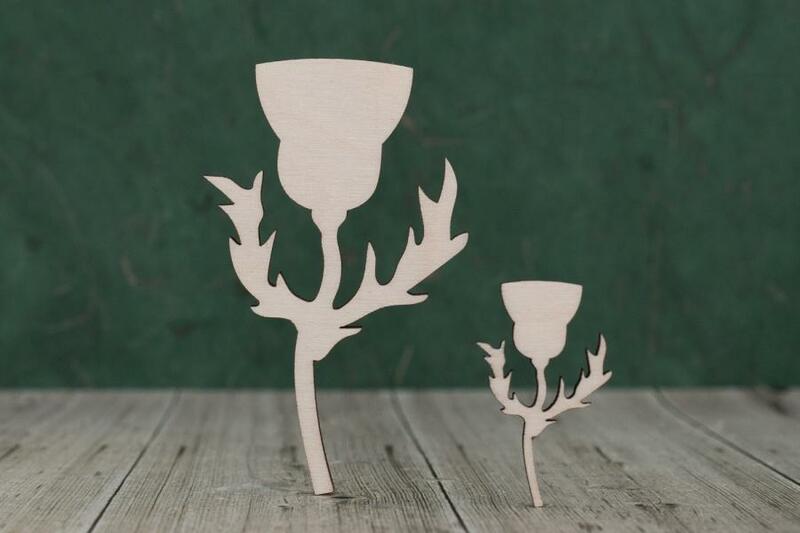 Wooden Scottish thistle craft shapes, laser cut from 4mm birch ply wood here in the UK. 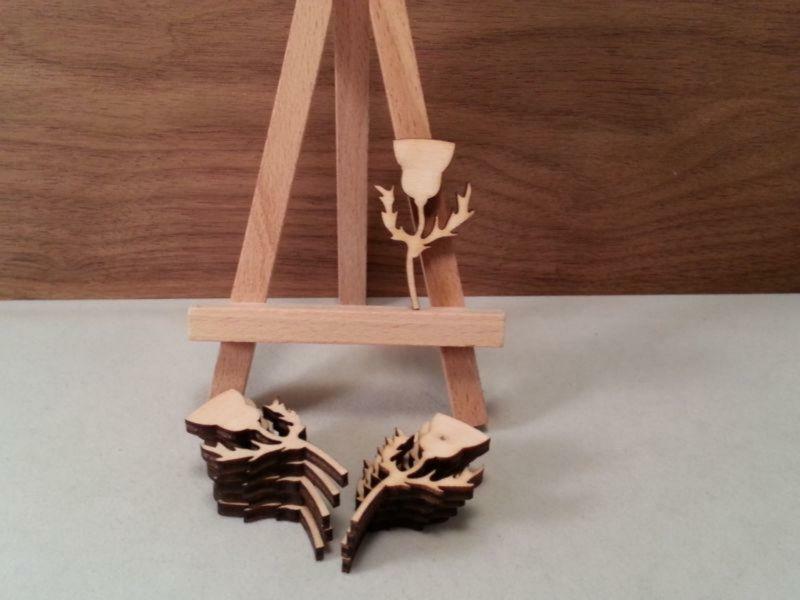 These wood thistle blanks are lightly sanded both sides ready for you to paint or decorate as you wish.